January 2018 – The year started at full speed for the TMT Observatory Software (OSW) team, who met in Pune, India with their colleagues from the India TMT Coordination Center (ITCC) and ThoughtWorks engineers to conduct their 3rd Common Software (CSW) sub-system inception meeting. It was an intense week of face-to-face encounters and detailed design discussions about the planning of TMT software development. TMT Common Software is the communication backbone and software infrastructure that integrates all observatory software systems. CSW is a package of services built for TMT’s observing mode components. Each service has a Scala and Java programming language Application Programming Interface (API) that provides a limited set of functionality. The purpose of this inception meeting was to plan the next development phase of the CSW services and to kick off the preliminary design phase of the Observatory Control System (OCS), a subsystem of the Executive Software (ESW). Initial design activities of the OCS high-level sequencer, which will coordinate all telescope and instrument systems during night operations, were presented during the meeting, with a special focus on its integration with CSW. 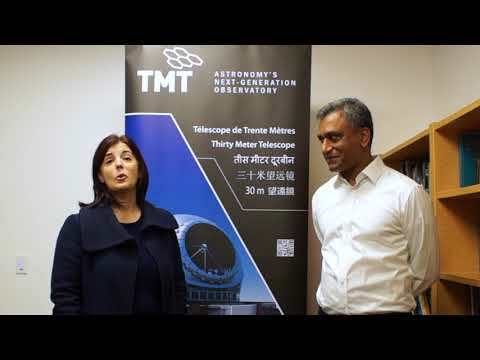 The meeting also generated in-depth discussions on methodology, test and deployment strategy for the design and production of TMT Observatory Software. ThoughtWorks’ technical expertise continues to be a great asset for the development of TMT’s Observatory Software while the OSW teams from the project office and ITCC continue their activities of software testing, quality assurance and management of the OSW development.